Today we reached the 100 mile point. 101.1 miles actually, since we are camped at Barrel Spring. We are just five miles short of completing 4% of the Pacific Crest Trail. We are both still enjoying the hike, the amazing views and the wonderful hiking community. Neither of us have any blisters and we are both happy and healthy. Tomorrow we only hike 10 miles to the community of Warner Springs where we will be hosted for the night in the home of our friend Warner Springs Monty. Deb is looking forward to a shower and clean laundry. A chorus of frogs is serenading us to sleep. 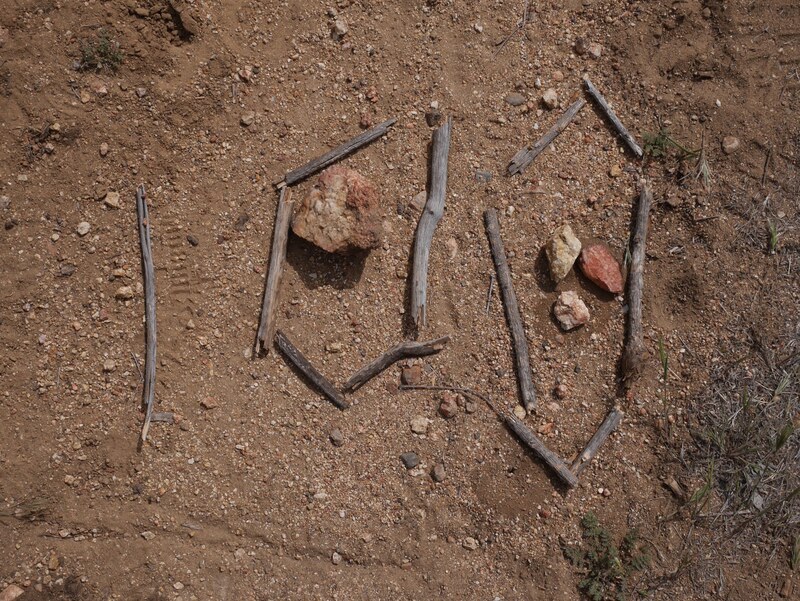 Photo: A hiker created a milestone marker made of sticks at the exact location of 100 miles from Campo. The Halfmile App must have been used.